WATERVILLE -- Carol Blier uses a simple sales pitch to get people to join Central Maine Squares, a club that gets together for square dances once a month in Waterville. WATERVILLE — Carol Blier uses a simple sales pitch to get people to join Central Maine Squares, a club that gets together for square dances once a month in Waterville. “You just have to like to dance, hug and eat,” she said. That’s the line Blier, 68, hopes will convince more people to give the great American pastime a shot, something her club and others like it across Maine have been pushing for more than a decade. “We’re always trying to get the newcomers to turn out and it’s tough, but once they see how much fun it is they always come back,” she said. Blier and her husband, Eric, discovered square dancing 15 years ago when a friend pushed them to join the club, one of about a dozen statewide. After the first few weeks, the couple was hooked and started traveling on the weekends to find square dances being hosted by the other clubs. 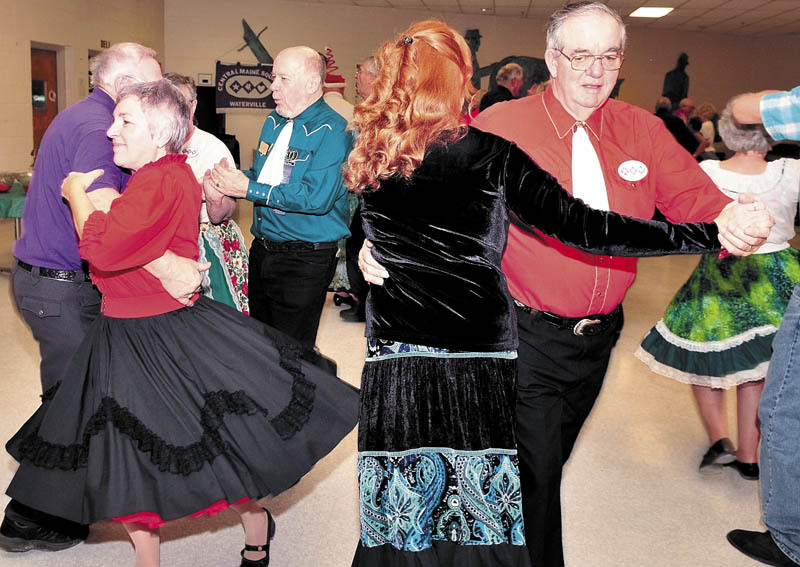 Walter Bull, a Mainer who supports square dancing clubs, has seen dozens of clubs across New England join in a recent push to re-introduce people to the activity, which dates back to the early American settlers, he said. His hobby is traveling to different dances in the region to help out clubs that need a caller, the person who plays the music and shouts out the steps to guide the dancers. Square dancing has roots that reach back to the English colonial settlers who brought their favorite dance steps with them to America. The style has changed and adapted over the years, but holds on to its ties to the old European traditions, according to Bull, 53, of Topsham. “It’s pretty much the American version of the dance, with derivatives of other dances from all over the world,” he said. The biggest change came after the American Revolution when the new nation adopted a French version of the dance known as quadrilles, in which four couples form a square. “After the revolution it wasn’t very cool to do the English dancing anymore so people switched,” he said. The French style is still the closest thing to the contemporary American square dance, which has undergone slight tweaks over the years, Bull said. It underwent a shift in the late 1950s when it moved away from the memorized routines to the more free-flowing style directed by callers. That’s when schools also started adding square dancing to their physical education programs, introducing the dance to a younger generation, he said. The past few decades have really seen the pastime fall off, however, after the most recent revival in the 1970s when people were looking for inexpensive and wholesome ways to have fun during a tough economy, Bull said. And people today seem to be getting drawn back to the dance for the same reasons. “Square dancing is the best kept secret in America, it’s very inexpensive and a great social event, and where else are people going to find a way to pay four bucks for hours of fun,” he said. 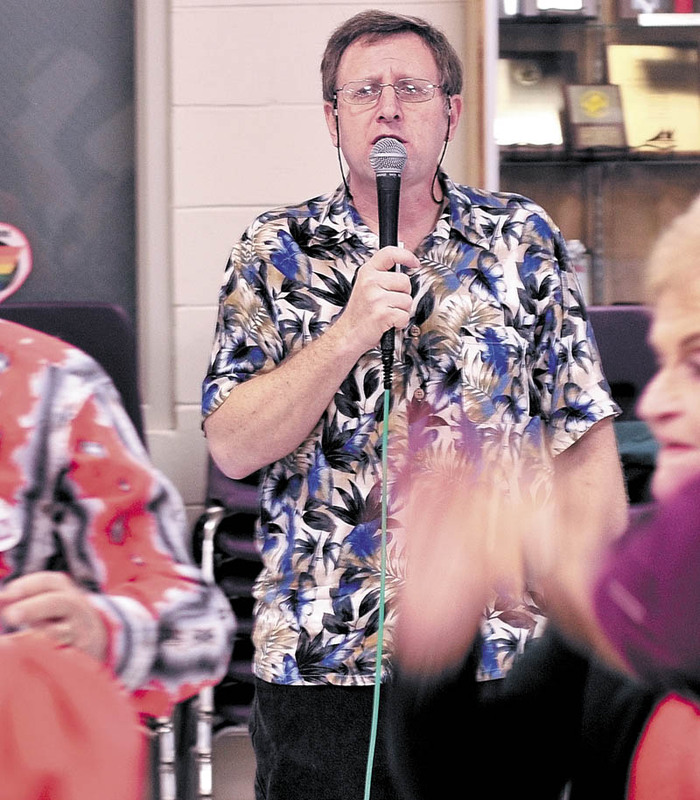 The Blier’s club hosts its dances in the Waterville Junior High School, decorating the gymnasium in their club’s signature lavender, black and white color scheme or some other festive design. Last Sunday, they had a dance called toyland and collected toys and clothes to donate to a local charity. In January, they plan to have a penguin-march dance where everybody dresses in black and white outfits, she said. Some of the women dress up in the traditional petticoats and skirts, but the club always has a theme and keeps the events informal and fun, she said. They hold workshops once a week on Tuesdays to learn new dance steps. There are steps for all skill levels and ages, and the club hopes to add a training camp for newcomers when the classes start up again in early January. The classes cost $4 per person and run from 6:30 to 9 p.m. at the school on West River Road. The last class for this season is Tuesday night. 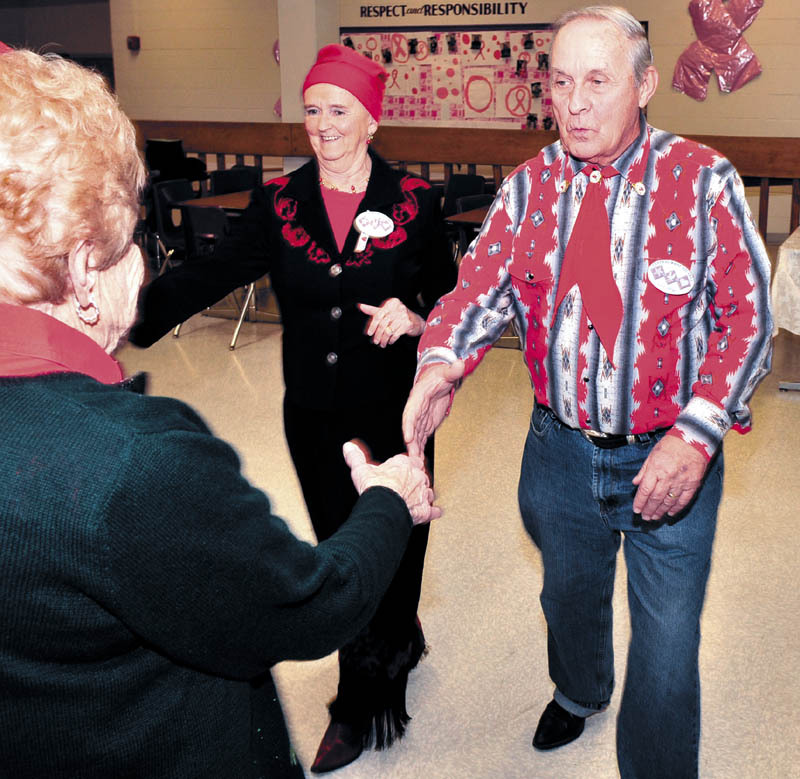 Carol Blier, who worked for 43 years as a city finance clerk before retiring, is always inviting her friends and former coworkers to dances, which typically draw about 40 to 60 people. “Some of the girls are always interested but they’re husbands were a little less excited about the idea,” she joked. The Bliers have also made a lot of new friends thanks to their passion for square dancing, which the wife describes as a social event more than anything else. “We meet lots of new people and we always have a good time,” she said.